Digital art by Chanakya Taranga Galappatty, Sri Lanka. 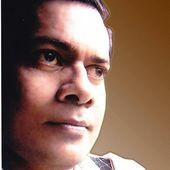 At present I am working as Free lance Graphic Designer/Illustrator/Artist and Photo editor. I developed my designing skills that allow me to design Art works, brochures, flyers, logos, banners, posters, cover-pages, visiting cards, invitation cards, page layouts, calendars, advertisements and many other print media works. Pencil/pastel and other digital art works including CHILDREN BOOK ILLUSTRATIONS.